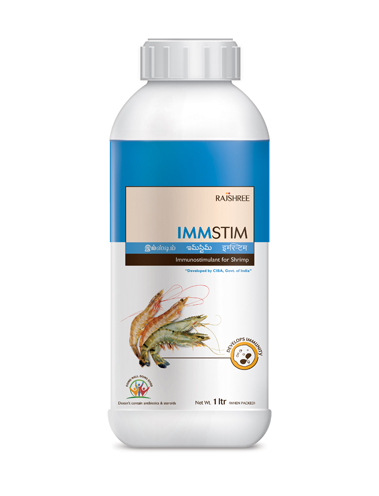 IMMSTIM is an immunostimulant formulation constituting whole cells of inactivated vibrio species that possess specific molecular patterns that help provoke the immune system of shrimp. This immune stimulation results in higher disease resistance therefore increasing immunity, survival and growth. Resistance to vibriosis causing tail rot and antennae cut. Promotes physiological activity, feed consumption and reduce FCR. Stimulates the immune system and triggers immunity. Increases the ABW and survival rate.